In the late 1990s, when I started getting back into boardgames, the first few that I discovered were pretty much the standards of the time: Settlers of Catan, El Grande, with some Magic, Illuminati and the like thrown in. 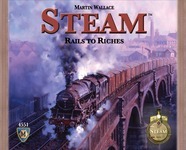 When the 2000s started, meatier, and yet still simple, games started to emerge, like Princes of Florence, Puerto Rico, Stephenson’s Rocket and Liberte by a certain Martin Wallace. This last title fascinated me simply because of the multiple path to not only victory, but also to ending the game. I remember many an evening playing this, walking the knife’s edge in trying to put myself in a position to win without pushing the game too far lest one of my opponents push it over the edge to score a win. Naturally, when Wallace’s next title came out I was intrigued. I had hoped that it would be as unforgiving as his last title and as deep without being overly complex. Boy did he ever deliver! Age of Steam was everything I had hoped for and more. Not only was it cutthroat but it was also unforgiving, with one minor misstep causing you to go bankrupt and be out of the game. It also had something else that fascinated me: different maps. Simply using a different map and using maybe some rules modification, you got a whole new experience, forcing the players to change their strategy. I fell in love but with a harsh mistress. The game was perceived by many in my different gaming groups as too difficult and unforgiving. 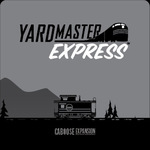 While I managed to play it, it still sat almost forgotten, that is until it came back as Steam, published this time by Mayfair Games. Was this a good thing? Well, let’s find out. This entry was posted in Review and tagged steam on June 24, 2014 by TopDog. There was a short discussion the other day on Twitter about whether or not there were too many evolution-themed games out/coming out and this struck me as strange. 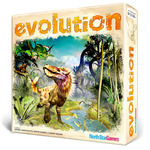 As much as evolution is a cool theme, I can’t think of many games that do use it at their core. The only ones that come to mind are Evo, Dominant Species, Quirks and Primordial Soup (probably better known as Ursuppe) but a quick look at BGG shows me that I’m wrong, with 3 pages of games that fit that category. This entry was posted in Review and tagged Evolution on May 18, 2014 by TopDog. Space games, and more specifically 4X games (eXplore, eXploit, eXpand and eXterminate), are kind of the final frontier for me. They do contain most of the aspects I love in gaming, but most of them seem to be too long for the final payoff. They tend to follow the same pattern, with players building up their forces, turtling in the corners to go into a massive combat which, most of the time, is really unsatisfying. On the other hand, the parts that work are so thrilling: the building up of technology, the slow build up of your empire as you gain more resources and build an economic engine, the figuring out of different strategies and the alliances. So much fun. There have been many attempts at the perfect 4X game, similar to the quest for the new Civilization game that doesn’t take 18 hours to play. Many have taken the brute approach (Twilight Imperium comes to mind) and some have tweaked the formula just a bit, attempting to make a playable 4x. 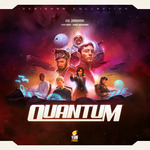 And then comes Quantum, a game that prides itself on its modular approach and the speed at which it can be picked up and played. Does it succeed at what it sets out to do? Is it really a 4X game or just another game that uses part of the formula? Let check it out! 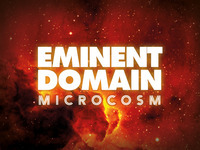 This entry was posted in Review and tagged Quantum on April 12, 2014 by TopDog. In board games, there are some themes you expect to see all the time, such as trading in medieval Europe or trains, and the same could be said for wargames, with games about World War 2, taking a lion’s share of all games out there. There are themes, however, that one is genuinely intrigued when they see them, such as chemistry (Compounded), bureaucracy (Ad Acta) or time travel (Legacy: Gears of Time). There are also themes that become special because of the angle the game takes and Pay Dirt is one such game. 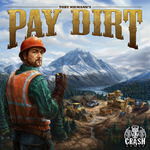 Not only is it about gold digging in modern-day Alaska, but the game seems to take a different approach to it, namely that of reality shows such as Gold Rush. While theme in and of itself isn’t necessarily a selling point for me, it does help a game stand out, even more if it is well incorporated in the game. Does Pay Dirt strike it rich? Let’s find out. This entry was posted in Review and tagged pay dirt on March 31, 2014 by TopDog.